Have a "WAGGY" Christmas Everyone! We at "Saving Jeep Grand Wagoneers" Club wish all our members , family, and friends a Loving Merry Christmas and Happy New Year! Thanks for Saving Jeep Grand Wagoneers and Jeep J10-20 trucks and Military Jeeps, too! 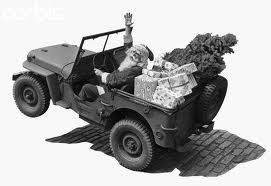 ps: Couldn't find a pic of Santa in a Wagoneer....this is close enough...it's a jeep! 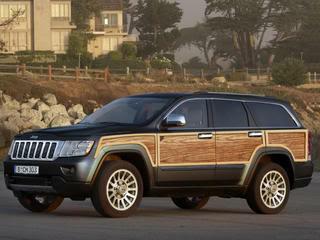 Here is a picture of the new Wagoneer that Chrysler Corp is planning on bring back online next year. This is why we are Saving the Original Jeep Grand Wagoneers! Great debate from the trenches/troops who love the Wagoneer! Keep it coming! I'm planning on sending Jeep your comments... @Christine - If and when Jeep comes out with a new Wagoneer, the fanfare and advertising they will spend on it will draw attention to the surviving Grand Wagoneers (like yours and ours) like nothing else has to date...You'll be in rarified air, girl. 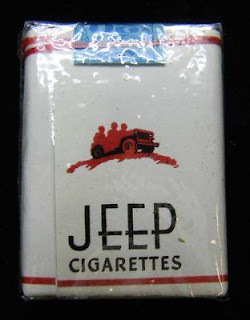 I think, honestly, there is little chance they will resemble the vintage Wagoneers. You own an American icon. ...But, if they do a great job on the new product, I can see an old and a new in the same garage!" We will keep ya posted! Our buddies over at WAGONMASTER received this email and they did show and consult. Check out their page!!! Do you think Jeep/Chrysler is looking at a come back??? "Here's the email: Our team develops the new Jeeps for Chrysler Corporation. You have a rich history of Jeep and can help us stay true to the heritage of the Brand on future vehicles. We will arrive at 9:00AM on Wednesday December 12th. We would like to meet with you for a couple hours and then take you to lunch. Look forward to meeting you and Chip. We hope they can duplicate the Original Wagoneer. Hot Rod Restoration at it's best. 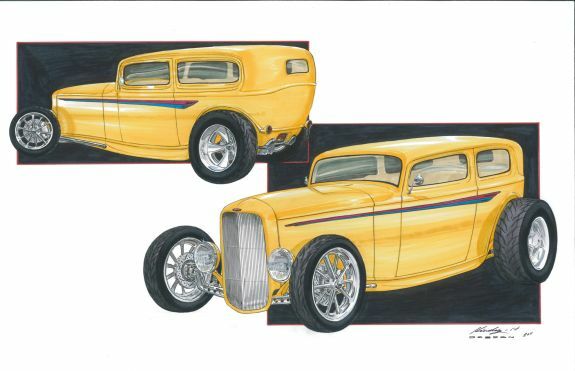 Good Guys Hot Rod and Custom Restoration Event: March 14-16 2013. These must have come out during the WW Wars! 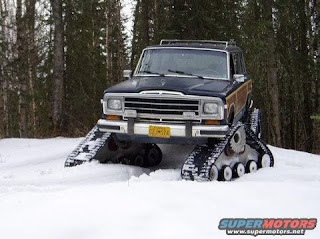 We all say our Wagoneers drive like a caddy and tank...well, here is the Tank version! WAGONEERS make a great Holiday Christmas Gift! YA!YA!